My short story “The Quality of Mercy” has been published in the anthology Monster Party from Living Dead Press has been released. This is a Heller Mystery story. Zombies, vampires, werewolves and ghosts are just a few of the monsters in this anthology. But this isn’t any anthology, you see, this is a party. 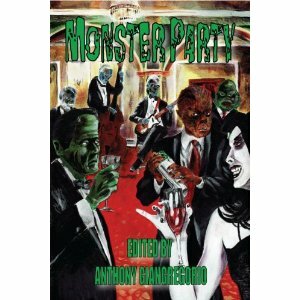 Or to be more to the point…a Monster Party. Ever wonder what would happen if a werewolf and a zombie squared off? Or perhaps a vampire and a Frankenstein monster? Or better yet, how about a world where every conceivable monster is real and humans are their prey? If those burning questions have been driving you mad, then look no further than this book. So go on over to the buffet table, grab yourself a plate (the shrimp looks good) and get yourself a drink, and enjoy the fun ride that is the Monster Party.